What problems do you want to solve when you grow up? Help children to think outside the box with Will Hussey’s amazing Where Can an Elephant Hide? Challenges to Kick-start Learning in Key Stage 1 and Where Can an Elephant Roost? Chalnnege to Ignite Learning in Key Stage 2. Find out what they know before you teach them. This will prevent reteaching what a pupil already knows. Remove drill from their lives. Bright pupils learn and retain a concept the first time it is presented to them. Allow them to move on to something else while you consolidate concepts with the rest of the class. Pace instruction at the rate of the learner. Pupils progress at different rates. Allow them to progress at their own rate. Use discovery learning techniques. 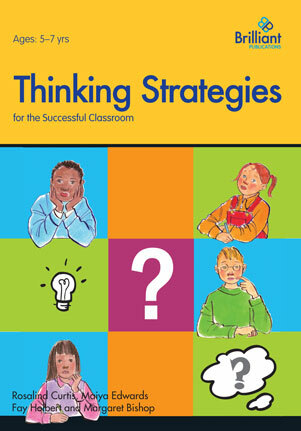 Use Inductive Learning strategies to allow pupils to use thinking skills to reach conclusions. Allow them to arrive at answers in their own way. Bright pupils enjoy devising their own problem-solving techniques. Allow pupils to form their own cooperative learning groups. Avoid always making the brightest pupil in the group responsible for the whole group’s learning. Allow them to sometimes choose their own groups and work with other bright, motivated pupils. Design an individual education plan. This will cater to different learning rates. Teach them the art of argument. Since bright pupils have a tendency to argue anyway, teach them to understand when it is appropriate to argue and also to understand when it is appropriate to argue and also to understand the reaction of others to their argumentativeness. Allow pupils to observe. Provide pupils with opportunities to observe and don’t demand immediate answers. Be flexible in designing programmes. Provide your pupils with a variety of programme alternatives, such as independent study, special classes mentoring and enrichment and extension activities. 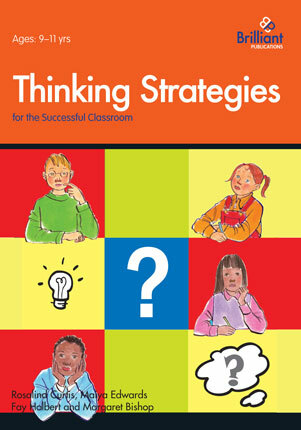 These ideas have been taken from Thinking Strategies for the Successful Classroom, published by Brilliant Publications. 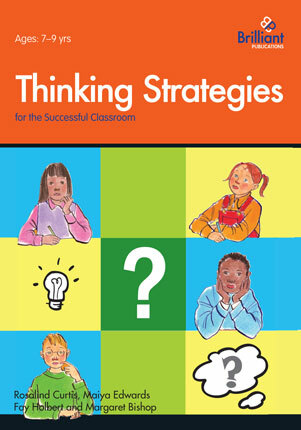 The series includes activities, teaching notes and photocopiable worksheets on a variety of classroom strategies. The activities included are designed to enrich and extend the thinking strategies of the entire class, with in-built opportunities to challenge the skills of the highest achievers. A study carried out in the United States has shown that already by the age of 6 girls lose faith in their own abilities and see themselves as less talented than boys. The study showed that when children believed that hard work was the key to success both girls and boys were successful. So what can schools do to encourage girls to believe that they will be successful? One way is through promoting creative thinking. By asking questions where there are no correct answers and any input is valued, girls’ (and all children’s) confidence and self-esteem will increase. Brilliant Activities to Stimulate Creative Thinking has over 150 entertaining, open-ended challenges providing mental stimulation. The creative, challenging activities develop mental agility, the ability to ‘think outside the box’ and pupils’ higher level thinking skills. I love this chart of learning theories. It is a fantastic summary of key innovators, opinions and perspectives. I wish I had been given something similar when I was a student. I’m hoping that by posting it here I’ll be able to find it (if and) when my daughter starts her teacher training! Happy children – how important is this? Sir Michael Wilshaw has said he is “suspicious” of head teachers who say that their ambition is to make children in their schools “happy”. Instead, he argues, the focus should be on making children resiliant. Sir Michael also says that we should “talk up” the benefits of teaching more. A study by Professor Kathy Sylva at the University of Oxford shows that children that who go to preschool are twice as likely to do AS levels. Not only do they have a better grasp of language and numbers. They are also more effective learners, says Prof Sylva.